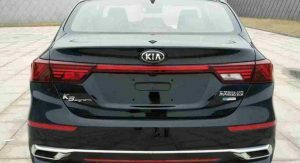 While Korea’s 2019 K3 sedan and North America’s Forte look pretty much the same, Chinese buyers will get Kia’s sedan with a much bolder look. 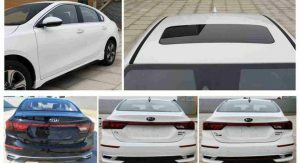 China’s Ministry of Industry and Information Technology has released the first photos of the upcoming Kia K3 sedan for the local market, revealing significant design changes compared to the model sold overseas. 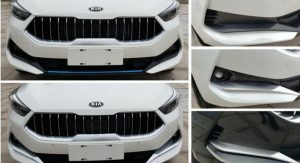 We’ve come across the photos courtesy of Auto Sina and couldn’t help but notice the big front grille which kinda looks like Maserati’s signature item, especially with the vertical slats. The headlights are also different from the US-spec Forte/Korean-spec K3, adopting a longer, sleeker shape. 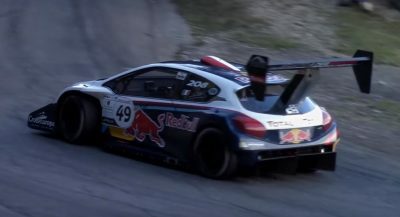 Obviously, the front bumper is changed as well and looks sharper and more aggressive. 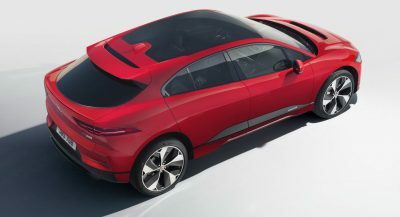 From the sides, the car looks pretty much the same as the Korean and North American models, but the rear end brings additional changes. 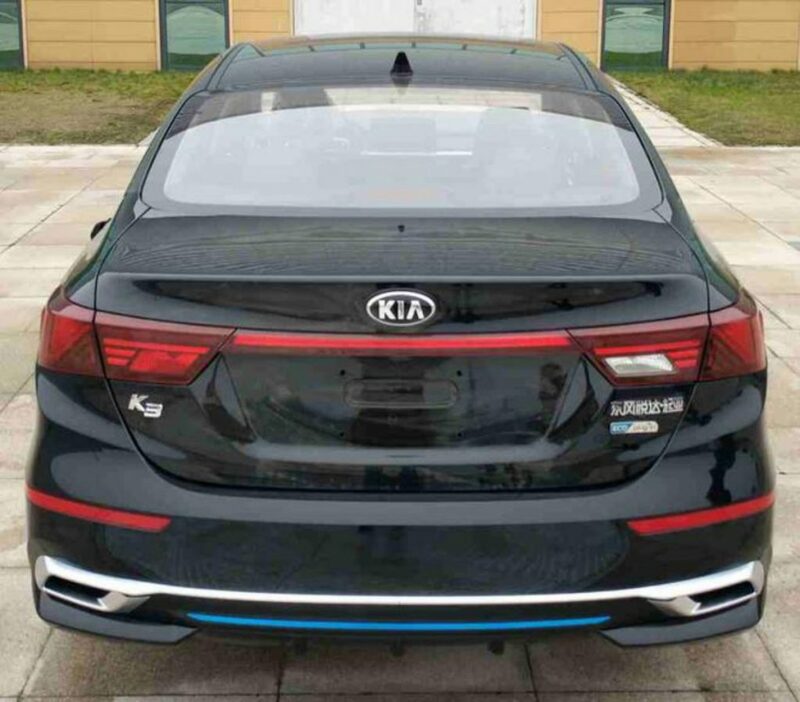 The bumper has a different design and the taillights adopt a distinct signature despite retaining the same shape. As for the interior design, there won’t be any significant changes compared to the K3 sold in other markets. By now you probably have noticed the blue accents at the lower end of the bumpers, which serve to identify the plug-in hybrid version. 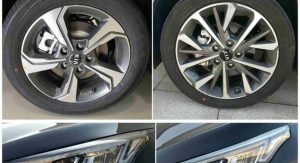 That’s right, China will get a K3 PHEV equipped with a 105 PS (104 hp) 1.6-liter engine and an electric motor. 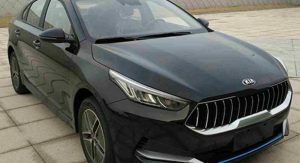 No additional details are available, but it might be the same plug-in hybrid system used in the Niro PHEV. 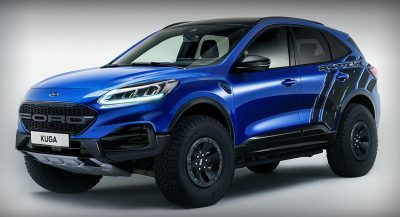 Regular models will offer the choice of a 1.5-liter naturally aspirated gasoline unit making 115 PS (113 hp) and a 1.4-liter turbo-four rated at 130 PS (128 hp). 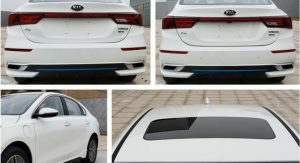 The all-new Kia K3 sedan will debut at the Auto China 2019 in Shanghai and will go on sale in June in the world’s largest car market. 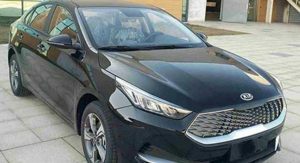 The compact sedan will be built locally by the Dongfeng Yueda Kia joint venture. 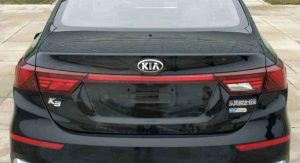 Kia only copy Maserati design and puts in its cars like the copy of the rear lights of Levante in stinger…why Maserati don’t fine Kia??? I don’t care for the Maserati grille. The one in photo 2/10 is much better. Vertical slants don’t automatically make it Maserati’s. 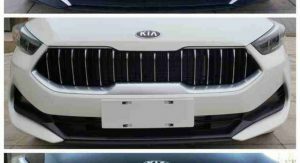 The shape is still unmistakably KIA. Thanks you’re right. It is LucDonckerwolke.